2018 Legislative Conference. Sign up now! This conference will include our very own Luisa Blue. 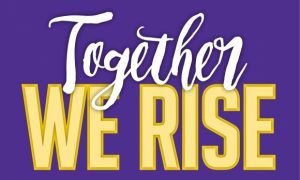 Luisa has an inspiring story to tell as a nurse member who worked her way up through the ranks to become an Executive Vice President of SEIU. We will also cover exciting topics that will help us provide better care for our patients and clients and further empower us as patient and nurse advocates. Cannabis: It’s impact on patients and the nursing profession, and Healthcare changes are coming for all Californians. We’re honored to have Dr. Joseph Morris; Executive Director of the Board of Registered Nursing do an insightful presentation of the BRN. We can’t wait for you all to join us!! The 2018 Legislative Conference cannot happen without your participation, so please take a minute to register.